Psalm 46:1-3 – God is our refuge and strength, a very present help in trouble. 2 Therefore we will not fear though the earth gives way, though the mountains be moved into the heart of the sea, 3 though its waters roar and foam, though the mountains tremble at its swelling. 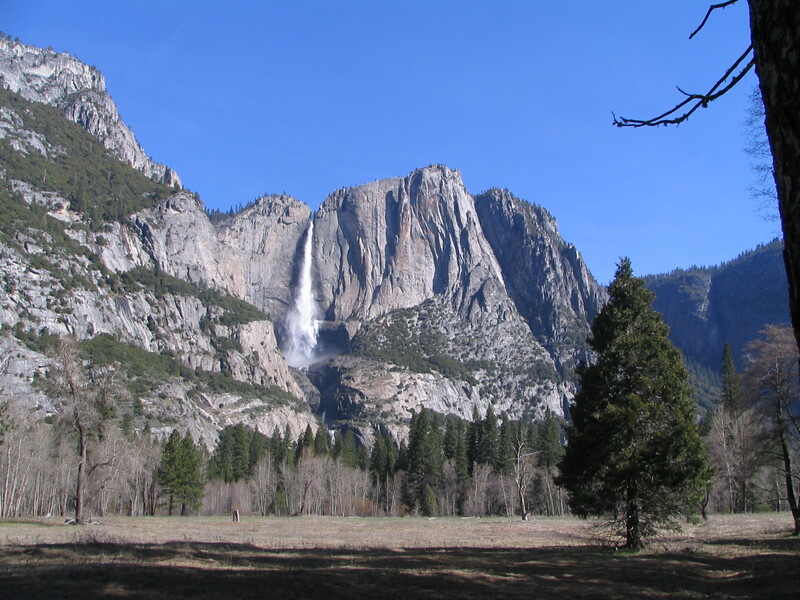 The waters of Upper Yosemite Fall thunder to the valley below. Yosemite National Park, California. This entry was posted in God is Revealed... and tagged God, Mountains, Psalm 46, Refuge, Strength, Upper Yosemite Fall, Yosemite Fall, Yosemite National Park, Yosemite Valley by Todd D. Nystrom. Bookmark the permalink. Even when it seems like the earth around us is falling apart, we have the hope that God gives us strength in times of trouble.